Music-centered ideas and features score very well with listeners. Taking one of the main reasons they come to the radio station (your music) and creating something fun around it, really performs well in PPM. 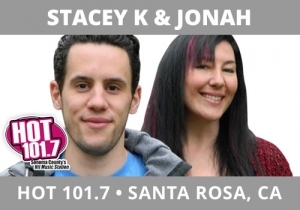 Stacey K and Jonah, HOT 101.7, Santa Rosa, CA realized there are similarities in both the titles and hooks of Fifth Harmony’s “Work From Home” and Rhianna featuring Drake’s “Work”. So they did the next logical thing, they fused the two songs together. This took lots of work (pun intended) to conceive and edit. The win for the audience is fun for them as they hear the final product.